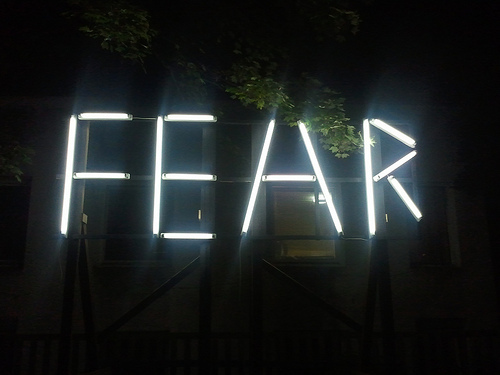 Fear is defined as a distressing emotion aroused by impending danger, evil, pain, etc., whether the threat is real or imagined; the feeling or condition of being afraid. Its a feeling that can give you such a thrilling adrenaline rush or cripple you down to a paralyzed state covered in your own bodily fluid. Fear itself is becoming a concept more exploited in the media for movies, but it’s being run down into the hole. When was the last time you saw a horror movie that actually scared you? Go ahead think about it, I’ll wait for you to get answer. Horror movies are losing their magic. The last film I saw in the genre was Annabelle and it was a waste of time and money. The entire plot was predictable and nothing really scary even happened. The acting was typical for a horror movie, everyone is making idiotic decisions and doing random yelling. I’m sure these actors/actresses get hoarse during filming. The only thing about most modern horror films is the rand extreme increase in volume during certain scenes to emphasize what’s happening. The sound is startling but nothing to fear. A phobia is an overwhelming and unreasonable fear of an object or situation that poses little real danger but provokes anxiety and avoidance. That’s something that’s slightly different. If you have a phobia it WILL take you by the heart with its icy fingers and send frost through your veins and strip you of your common sense. Irrationality becomes your new friend as you strive to either flea what has induced your phobia or die trying. Phobias take work to overcome if one can, but most just avoid their stimulus altogether. Do you have a phobia? Coulrophobia is the fear of clowns. Ophidiophobia is the fear of snakes. Arachnophobia is the fear of spiders. Thats just naming a few common ones. These stimulus will take over your very soul gripping you with fear. True fear like no other and not like these pathetic horror movies. 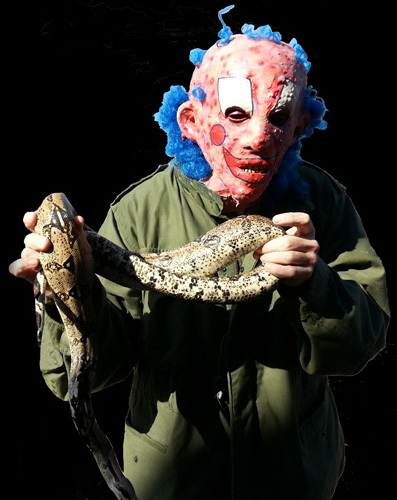 I have a hate for clowns, a fear, a phobia. Do you? It’s perfectly normal for one to fear something. It’s normal for one to get a thrill out of it. It’s also normal for one to fear being scared. Are you afraid?